Good preachers will preach the passage they claim to be preaching. Even in a topical message with several passages being presented, the preacher should be sure to say what that text is actually saying. Using texts to say what the preacher wants to say is an indication of a pride problem in the preacher. However, even the diligent preacher of the passage before them can undermine their good work by dangerous assumptions that undergird their work. These assumptions come various sources, but they tend to be theological paradigms that cause the preacher to see any text in a certain way. They are like tinted glasses that change the hue of everything. This will lead to misrepresenting the Bible and potentially to some significant false teaching in the church. Over the next days I’d like to try to highlight some of these tints in the hope that some might be prompted to pray and ask the Lord to expose their own false or dangerous assumptions. It would be good for us all to do that. 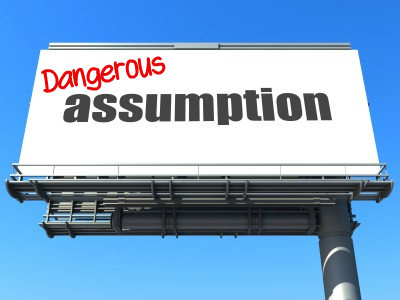 Dangerous Assumption A: It is all about me. There are many potential angles here. 1. The duty filter. This could be driven by a faulty view of God, an errant understanding of the gospel, a separation of gospel from Christian living, baggage from childhood abandonment, theological pride, personal guilt and a whole lot more. Whatever the root, the result is that every passage is seen through lenses that underline and embolden imperatival content, or even introduce this tone where it is not present. So the preacher takes any story or psalm or passage and turns it into a set of duties for the listener to strive toward. 2. The guilt filter. This is associated with number 1, but it seeks to transfer feelings of guilt onto the listeners. This is perhaps less optimistic. Whereas in the previous angle the listeners are pressured as if they can simply choose to obey and be diligent, this lens turns the text a shade of sour. Now the goal is not so much to instruct and pressure, but to make the listeners feel guilty and therefore pressured. The motivational effectiveness of guilt is questionable in the extreme, but this approach to preaching can have the feel of desparation about it. Like all of the filters in this sub-set, it tends to skim over the problematic issue of turning listeners in on themselves, which is at the very heart of the sin issue we are claiming to address as we preach the Bible. There’s another side to this, which we’ll ponder tomorrow.